8 March 1910: John Theodore Cuthbert Moore-Brabazon (later, the 1st Baron Brabazon of Tara, G.B.E., M.C., P.C.) 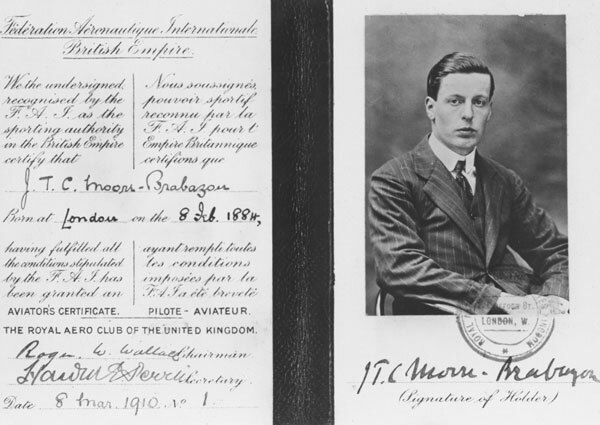 was the first airplane pilot to be issued an aviator’s certificate by the Royal Aero Club of the United Kingdom. He had previously been assigned certificate number 40 of the Fédération Aéronautique Internationale. He was issued Certificate Number 1 in England.